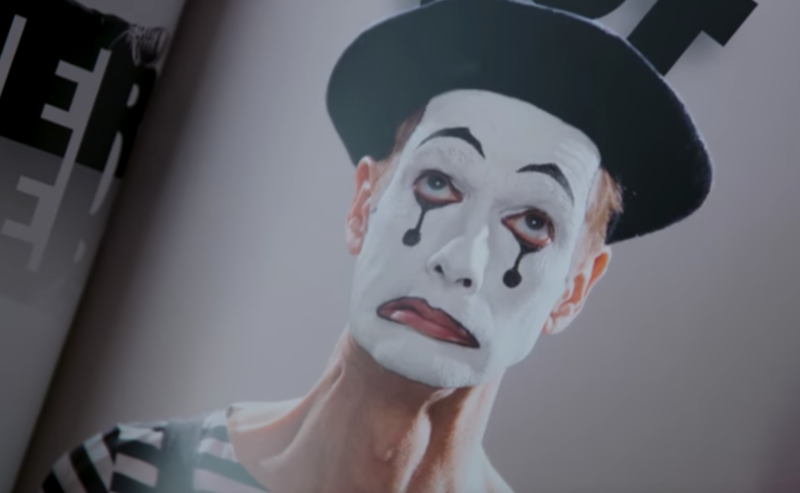 Actor and contortionist Doug Jones got his start in show business as a mime. His big Hollywood break came in the late 1980s when he got the role of McDonald's moon crooner, Mac Tonight. Thirty-one years later, this career "man behind the mask" earned the honor of being onstage with Guillermo del Toro as he accepted the "Best Picture" Oscar for The Shape of Water. Why? Because Jones played the film's "Amphibian Man." Great Big Story recently released this (literally-revealing) video portrait of Jones, calling him "the most famous actor you’ve never seen:"
You might not know his face, but you’ve seen his work. With over 150 movie and TV credits to his name, Doug Jones has been every creature, monster and villain known to Hollywood. From the Amphibian Man in “The Shape of Water,” the Silver Surfer in “Fantastic Four” to the Thin Clown in “Batman Returns,” Jones has been spicing up your movie-watching experience for the past three decades.